Ad the song says, you gotta know when to fold 'em. But here's a casino winner that shows sometimes you have to know when to just keep playing! 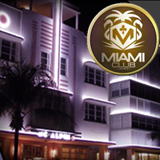 A Miami Casino Club named Gail had an incredible winning streak the other day that ended with a $256,000 jackpot win . She certainly had no way of know how the evening would end when she sat down to play a little Jacks or Better video poker. She wasn't having any luck there so she switched to her favorite slot game, Beat the Bank. She started with small bets and almost right away and got 15 free spins with all prizes tripled. It wasn’t too long before Gail triggered the Beat the Bank bonus game feature. She then had to guess which of the two bank safes she was presented with had a prize and which would sound the alarm. Many players would have called that a good night and logged off but Gail felt lucky and decided to go for more. Just two spins later she hit the free spins feature again and this time rode her luck all the way to ten correct safes in a row. She won 1024 times the triggering bet for a payout of $256,000.